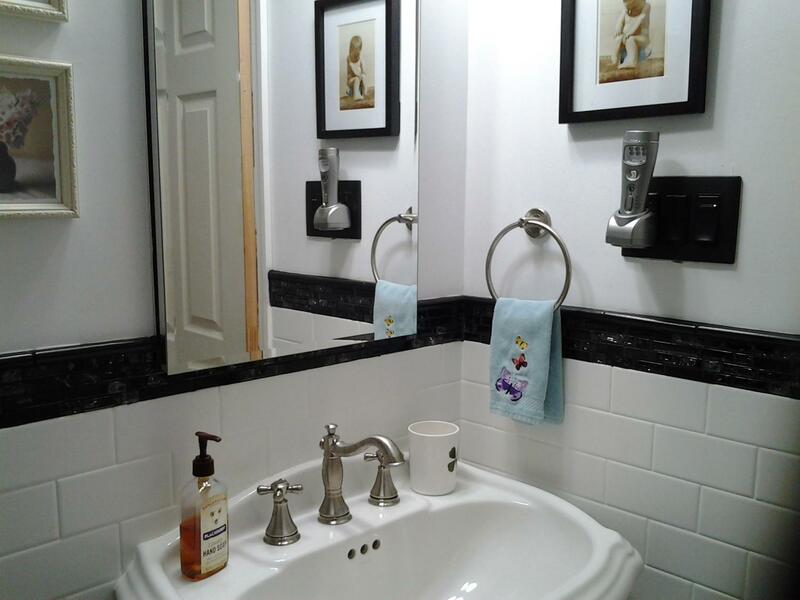 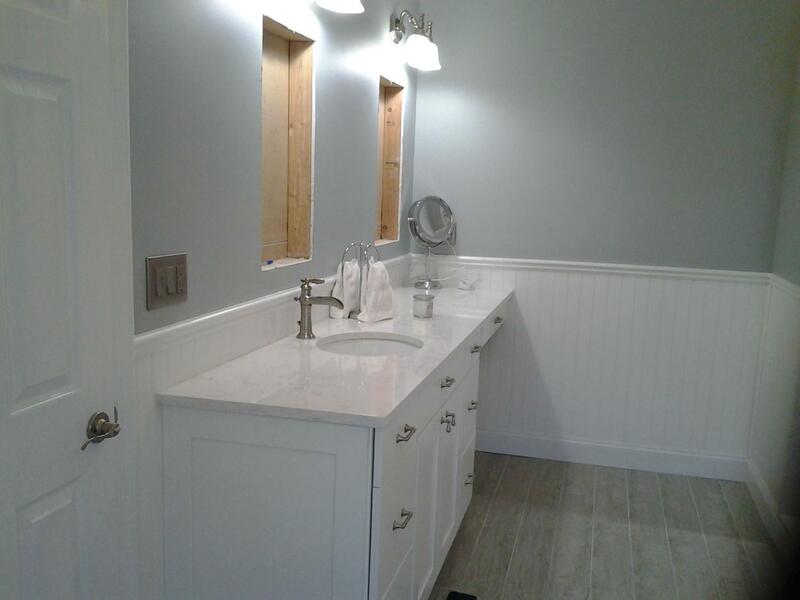 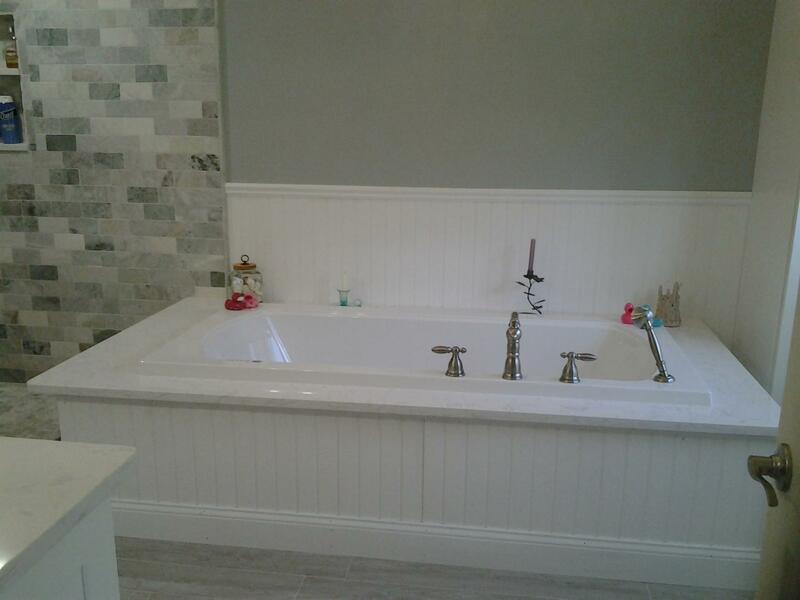 Baths - Silver Fox Construction, LTD.
Master bath remodel with open floor plan. 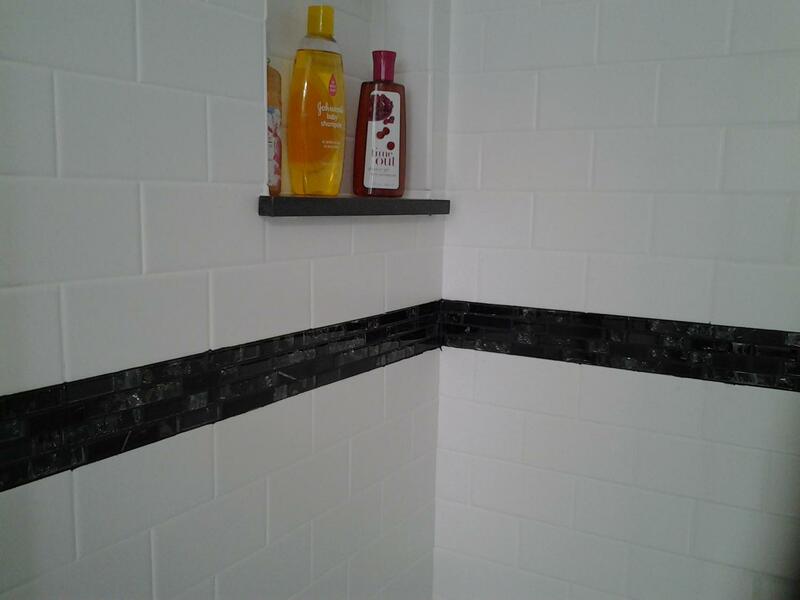 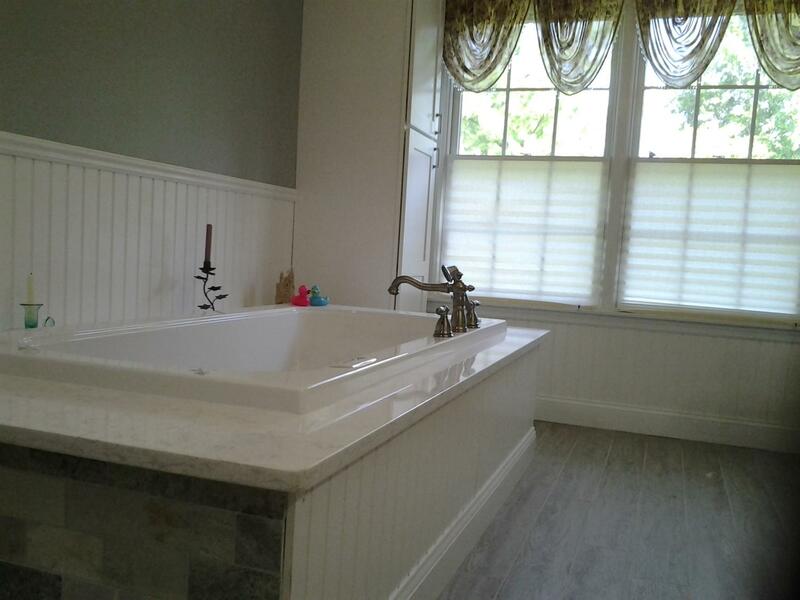 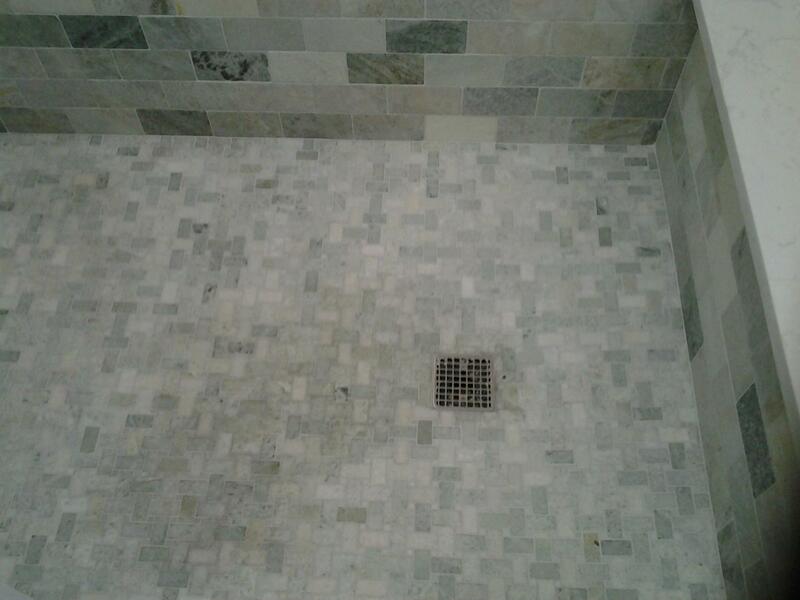 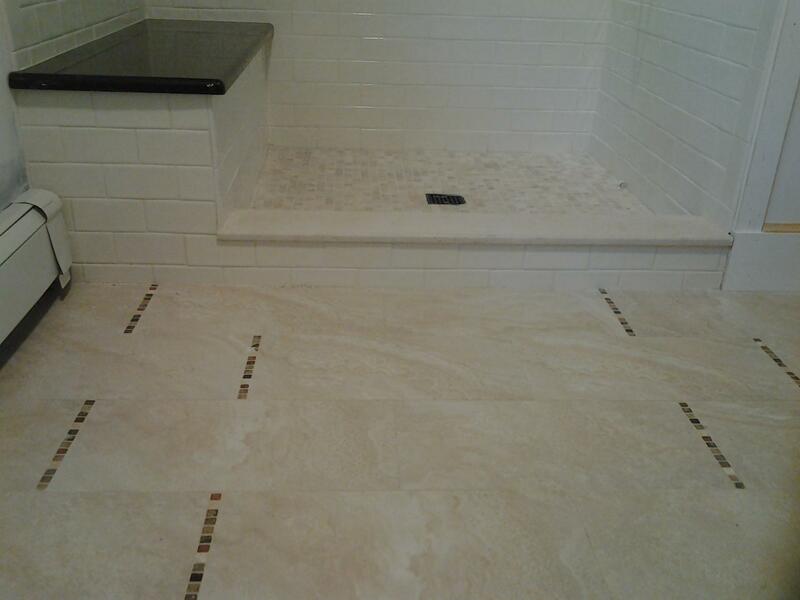 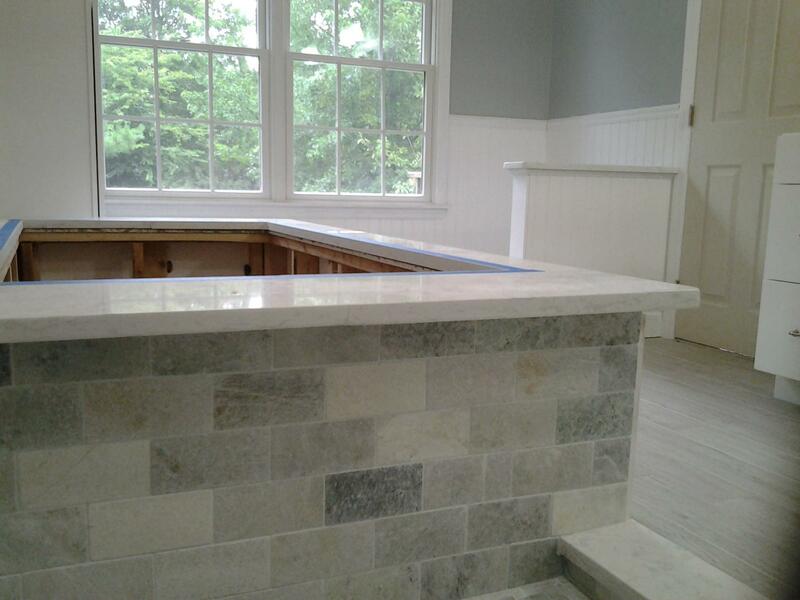 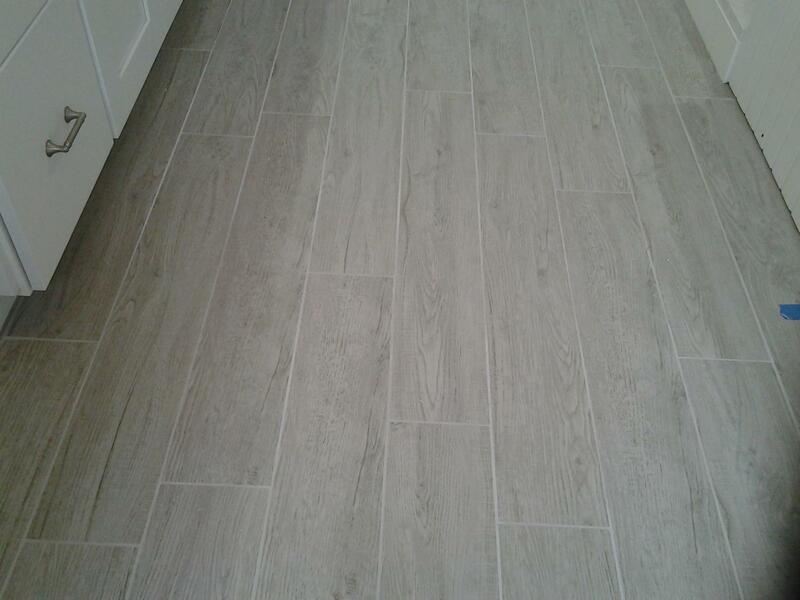 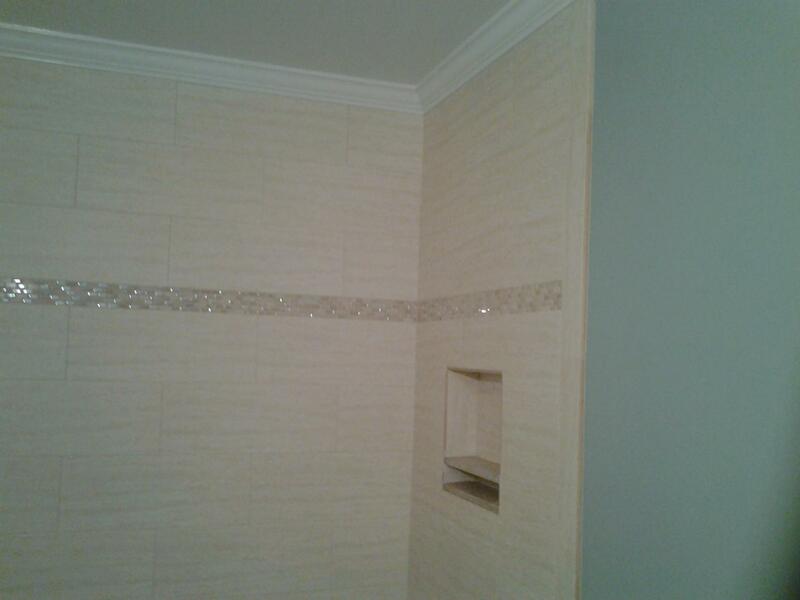 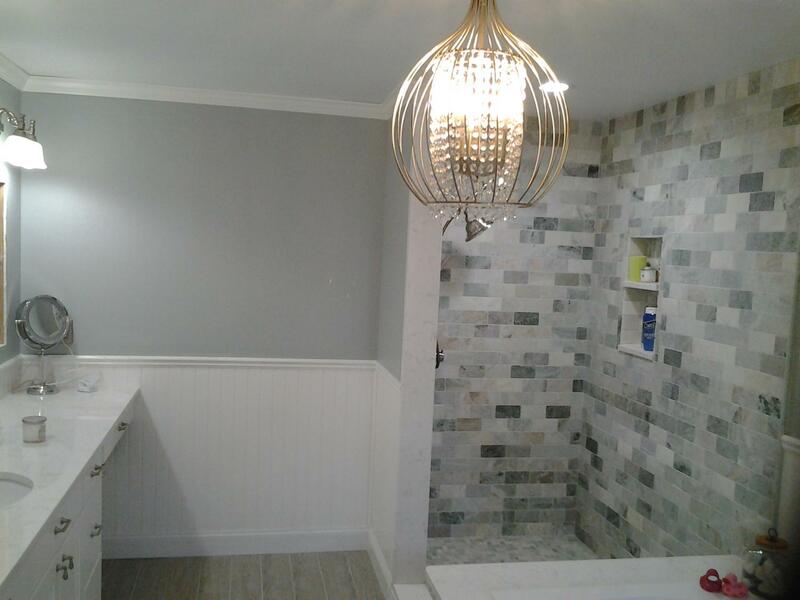 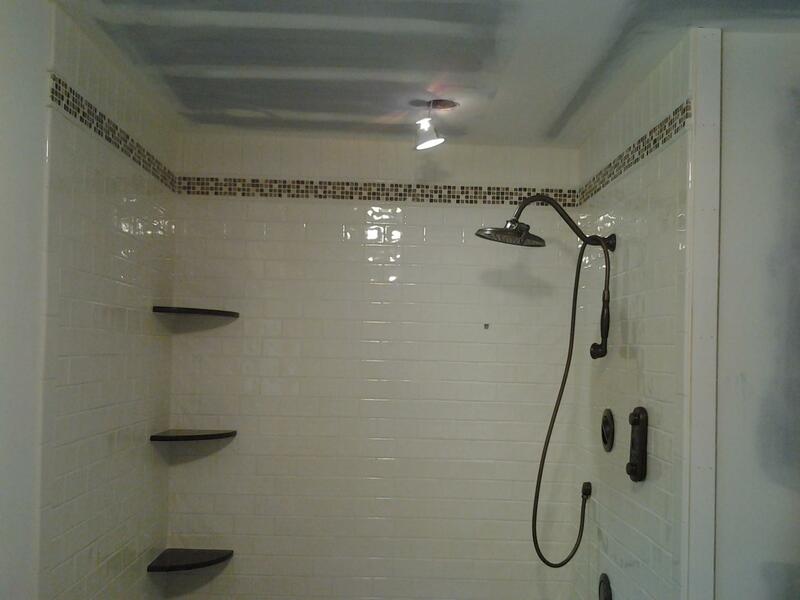 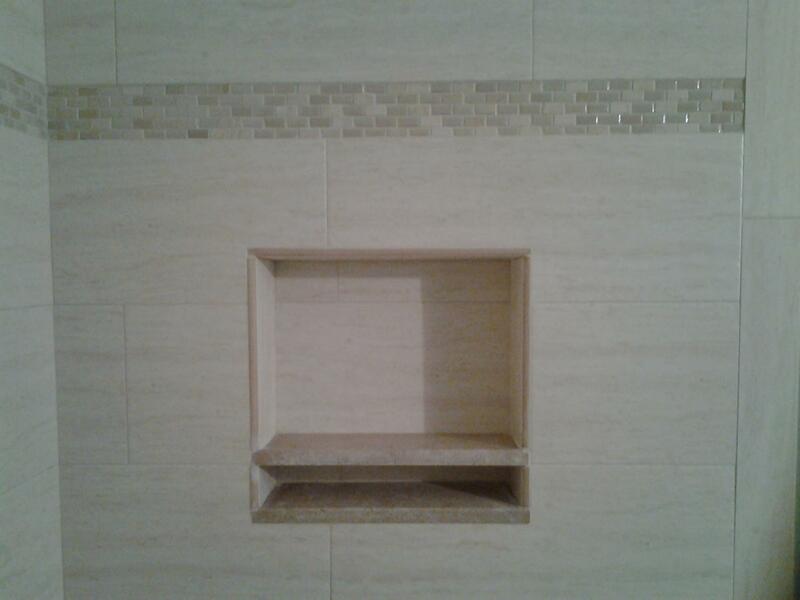 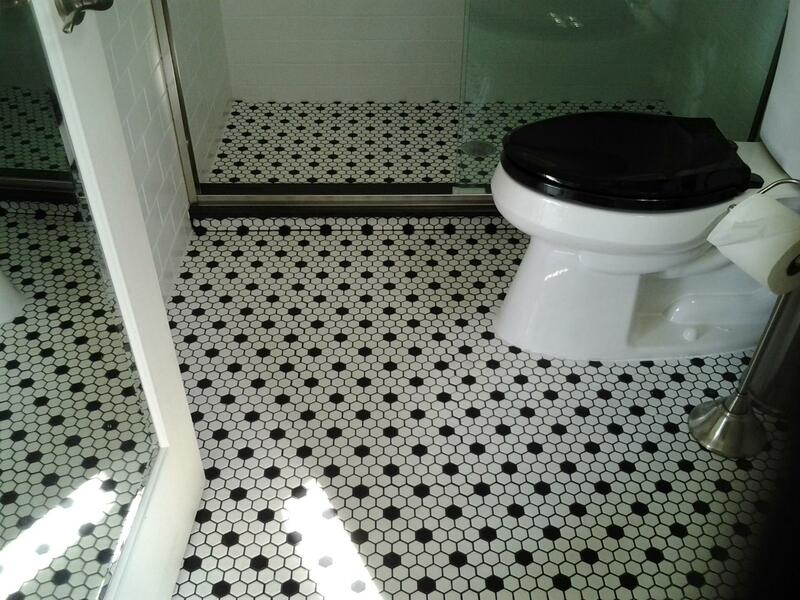 Versatex pvc wainscott on walls, tumbled marble tile in shower and wood grain porcelain tile floor. 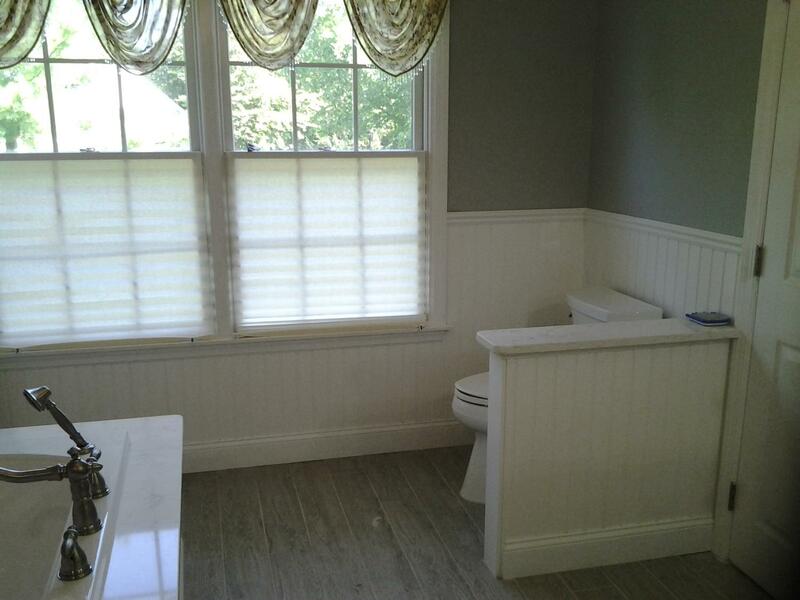 Chair rail and crown molding complete the room.